Citizens of the United States with a valid U.S. Tourist passport (blue passport) can travel to Germany and other countries of the Schengen Area for a maximum of 90 days without having to apply or obtain a Schengen visa. If you wish to stay in Germany for more than 90 days, you have to apply for a Germany residency permit. Stat: As per 2016, Germany has issued a total of 1,853,655 uniform Schengen visas from 2,004,235 applications received worldwide. Below you can find more information on applying for a Germany visa from the United States. Who can apply for a Germany Visa from within the US? 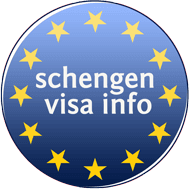 All non US citizens who do need a visa to enter the Schengen Area, who have a legal residence status in the United States (e.g. Green Card holders; F1 (I-20), H1B, G1, J1, etc.). with three (3) months validity after returning from the Schengen area, are eligible to apply for a Germany Visa in the United States. If your US visa has expired, please have it renewed before applying. In case you plan on staying in Germany for more than 90 days you must apply for a residency permit, not a Germany Schengen visa. Please, note that if you are not a resident in the United States you should apply at the German Embassy in your country of residence. Original of valid US alien registration card (residence permit aka. Green Card) or valid US residence visa (e.g. type A, E, F plus endorsed I-20 by competent authority, G: H; I; J; plus J1 documents, L, O, R) must be presented. The US residence permit or visa should be valid at least three months beyond the intended departure from the territory of the Schengen Member States. One application form (please see below) filled out completely and signed by the applicant (please read the explanations carefully). Proof of travel arrangements: Round trip flight/travel reservations or other proof of intended transport and complete itinerary of your visit to Germany (if several Schengen States will be visited or if the trip covers several Schengen States and non-Schengen countries). Travel Health Insurance stating that you are covered in case of a medical emergency and repatriation not just in Germany, but in the whole Schengen zone (minimum coverage of € 30.000). Reference letter from educational institution (school/college/university) stating that you are in good standing, your major and the expected date of graduation. An officially translated marriage certificate. The translation must be in English or German and must be certified as a true copy by the Embassy of the country where the marriage took place. Underage children must be accompanied by parents or a an adult guardian at the application center at the German Embassy Consulate General. Also, minors who are granted a German visa are not allowed to travel to Germany by themselves. They should be accompanied by an adult during their stay in Germany. Original birth certificate among others. Note: All documents must be either in German or English or officially translated by a certified translator. 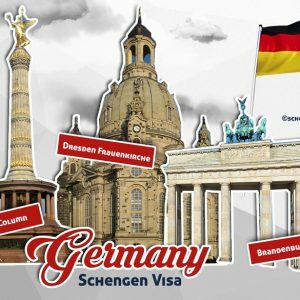 Where and how to apply for a Germany Visa in the US? German consular services are available through its Embassy in Washington and Consulates in Atlanta, Boston, Chicago, Houston, Los Angeles, Miami, New York and San Francisco. All German Missions in the United States, require that you schedule an appointment in order to apply for a visa. Appointments have to be booked via free online appointment system. Except for rare instances, you have to submit your application in person. You can apply at the German Embassy in Washington if you’re a permanent resident of any of the following districts: Delaware, Maryland, Virginia, West Virginia and the District of Columbia. Please note that the German Embassy in Washington don’t allow walk-in. You can apply at the German Consulate in Atlanta if you’re a permanent resident of any of the following states: Alabama, Georgia, Mississippi, North Carolina, South Carolina, Tennessee. Please note that the Germany consulate in Atlanta don’t allow walk-in. You can apply at the German Consulate in Boston if you’re a permanent resident of any of the following states: Connecticut (except Fairfield County), Maine, Massachusetts, New Hampshire, Rhode Island, Vermont. You can apply at the German Consulate in Chicago if you’re a permanent resident of any of the following states: Indiana, Illinois, Kansas, Iowa, Michigan, Kentucky, Minnesota, Nebraska, Ohio, North Dakota, Wisconsin, Missouri, and South Dakota. Please note that the Germany consulate in Chicago don’t allow walk-in. You can apply at the German Consulate in Houston if you’re a permanent resident of any of the following states: Arkansas, Louisiana, New Mexico, Oklahoma, Texas. Please note that the Germany consulate in Houston don’t allow walk-in. You can apply at the German Consulate in Los Angeles if you’re a permanent resident of any of the following California counties: Imperial, Kern, Los Angeles, Orange, Riverside, San Bernardino, San Diego, San Luis Obispo, Santa Barbara and Ventura. Arizona, Colorado, Nevada and Utah. Please note that the Germany consulate in Los Angeles don’t allow walk-in. Los Angeles, CA 90048, USA. You can apply at the German Consulate in Miami if you’re a permanent resident of any of the following states: Florida, Puerto Rico and the U.S. Virgin Islands. Please note that the Germany consulate in Miami don’t allow walk-in. You can apply at the German Consulate in New York if you’re a permanent resident of any of the following states: New York, New Jersey und Pennsylvania; Fairfield County in Connecticut; Bermuda. Please note that the Germany Consulate in New York don’t allow walk-in. You have to make an appointment online via this link in order to be able to apply for a visa at General Consulate of Germany in New York. You can apply at the German Consulate in San Francisco if you’re a permanent resident of any of the following states: Northern California, Alaska, Hawaii, Idaho, Montana, Oregon, Washington, Wyoming and the American overseas territories American Samoa, Baker-, Howland-, Jarvis-, Johnston-, Midway- and Palmyra-Island. Please note that the Germany Consulate in San Francisco don’t allow walk-in. You have to make an appointment online via this link in order to be able to apply for a visa at General Consulate of Germany in San Francisco. San Francisco, CA 94109, USA. As a US citizen, how long can I stay in Germany without a visa? As a US citizen you can stay 90 days in any 180-day period in Germany and within the Schengen area. The date of exit is considered as the last day of stay. Can I enter Germany and other countries of the Schengen area more than one time during that period? Yes, you can. However you must carefully calculate your days of stay as the overall period of stay must not exceed the overall total of 90 days of stay within any 180-days period. Do Green Card holders need a German visa to travel to Germany? All nationals of these countries, holding a Green Card cannot travel to Germany without getting a Schengen Visa. Is travel medical insurance mandatory for US nationals visiting Germany? Travel medical insurance is not mandatory for US citizens who don’t need a visa to enter Germany or the Schengen zone. Nonetheless, it is highly recommended to get one in case of visiting Germany.